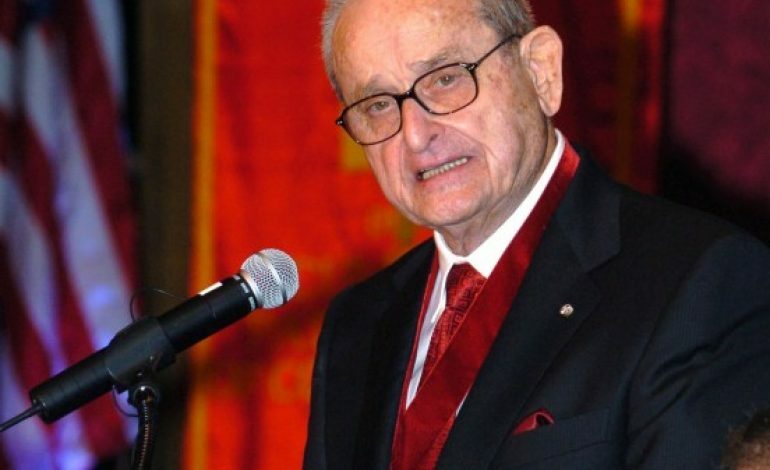 Alex Spanos, a Greek American self-made billionaire and a philanthropist passed away on Tuesday, at 95. He was the founder of A.G. Spanos Companies and owner of the Chargers NFL Franchise. According to the family’s statement, Alex Spanos passed away peacefully surrounded by his loved ones on Tuesday morning. 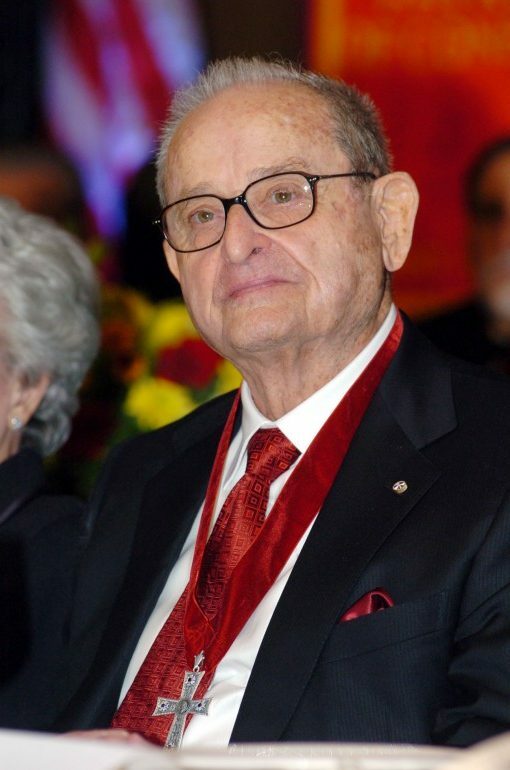 Earlier this year he lost his wife of 70 years, Faye Spanos, who died in August at the age of 92. Faye and Alex Spanos leave behind 15 grandchildren and 10 great-grandchildren. 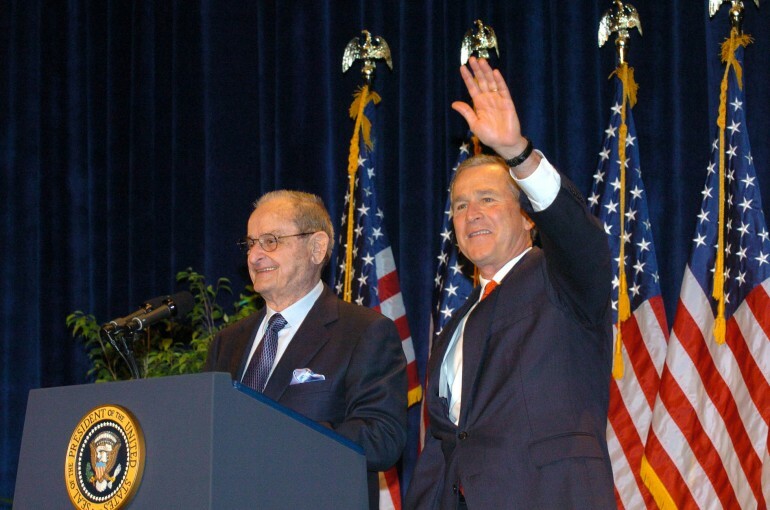 Statements were issued by former President George Bush, cabinet members and prominent political personalities of the United States, as well as the NFL teams. According to the Spanos Family announcement, “from humble beginnings to becoming the top apartment builder across the nation and the owner of an NFL franchise, Alex proved that dreams do come true. Alex Spanos was born on Sept. 28, 1923, in Stockton, California. One of six children, Spanos built a billion-dollar fortune in real estate and construction. Alex G. Spanos and Fay Papafaklis were married on August 22, 1948 at the St. Nicholas Greek Orthodox Church in Tarpon Springs, Florida. They were blessed to have four children, fifteen grandchildren. Fifty-five years later, Alex and Faye Spanos continue to place each other and their family at the center of their lives. In 1951, with his young wife Faye and their infant child, Alex took a risk and left his father’s bakery business, borrowed $800 and purchased a truck in order to sell sandwiches to migrant farm workers in the San Quaquin Valley. With Faye’s assistance, Alex transformed his first business enterprise into a highly successful catering business. By 1956, the catering business had become so successful that Mr. Spanos began investing in real estate. In 1960, Alex began A.G. Spanos Construction which he turned into the top-ranked housing construction company in the United States. Yet with all of this business and economic success, Spanos had never forgotten his roots or the integral role his family has played in his life. As a reflection of his belief in his family, A.G. Spanos Companies continues to be a family owned and operated business. 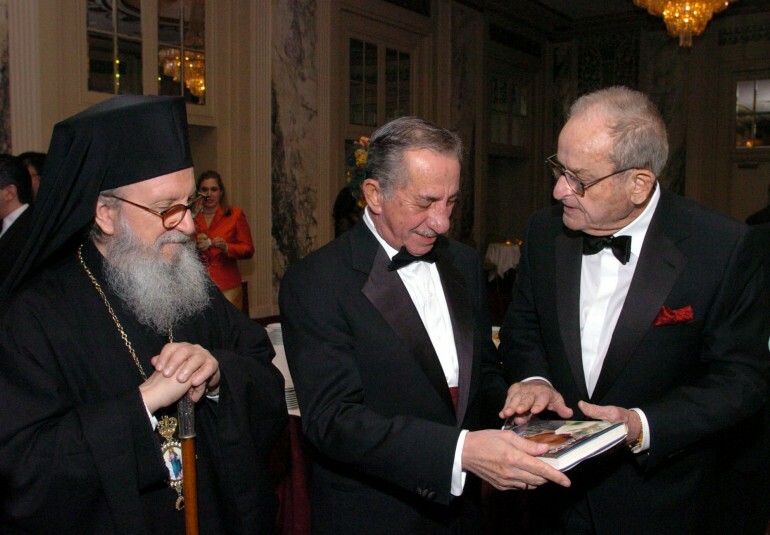 An Archon of the Ecumenical Patriarchate, former president of the Archdiocesan Council, and member of Leadership 100, Mr. Spanos had been a leading churchman for several decades. He was a founding member of the “Leadership 100” and the Faith Endowment, to which he sas donated 10,000,000 dollars. Faye and Alex Spanos have also been generous supporters of their home parish in Stockton, St. Basil Church, as well as being instrumental in establishing the Patriarch Athenagoras Orthodox Institute at the Graduate Theological Union (GTU) in Berkeley, CA, especially with the creation of the Alexander G. Spanos Chair in Orthodox Christian Studies at the GTU. The Spanos couple’s philanthropy has touched the lives of many individuals and communities. In particular Alex and Faye have had given back to those communities which have been important parts of their lives. 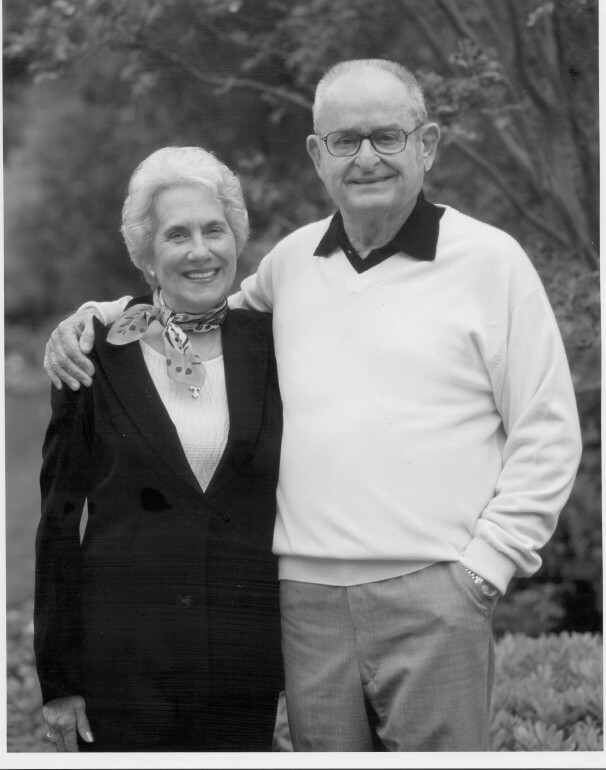 Alex Spanos was a graduate of the University of the Pacific, and the generous contributions of Alex and Faye have led to the building of the Faye Spanos Concert Hall and the 6,000-seat Alex G. Spanos Center on the campus of the University. As owner of the San Diego Chargers, Mr. Spanos has created and funded numerous charitable activities and organizations for the city and citizens of San Diego. The city of Stockton, which has been their home and place of business for over fifty years has been a significant recipient of the Spanos’ Christian philanthropy. Alex Spanos, in particular, has been recognized for his commitment to community and humanity. He was the recipient of numerous honors and awards, including the Horatio Alger Award, The Statue of Liberty-Ellis Island Medal of Honor, the Gloria Swanson Humanitarian Award, and the Anti-Defamation League of B’nai Brith’s National Distinguished Community Service Award for devotion to community and concern for others. Throughout all their professional, civic, and entrepreneurial success, Faye and Alex have treasured their family above all else. In 1972, he was elevated to be Archon Depoutatos of the Ecumenical Patriarchate for his extraordinary support of the Greek Orthodox Church and in October 2004 he was honored with the “Athenagoras Award” of the Archons. “I cannot tell you how proud I am for being Greek American and let the World know about it. There are not many of us, but when there is enough of us we can make sure they know who we are”, said Alex Spanos at the “Athenagoras Award” ceremony. In his highly emotional speech, Alex Spanos thanked repeatedly his wife Faye and his mother for giving him the right values. “My mother was always telling me “kane kalo na deis kalo” (Do good so good comes your way) and that was what I was always trying to do”, he said. His initial involvement with Greece was in September 1986, when he travelled to Greece following the catastrophic earthquake in Kalamata, the birthplace of his parents. He was received with high honors from Prime Minister Andreas Papandreou and despite their deep ideological differences they built a strong friendship. As he states in his autobiography, Spanos tried unsuccessfully to convince his close friend and President of the United States Ronald Reagan to lift the travel warning against Greece. 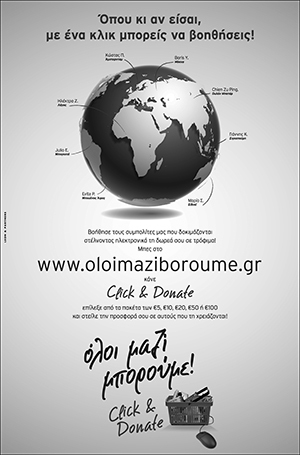 In 2007 Alex Spanos has donated one million dollars for the victims of the Ilia fires and the following year he received an award by the President of the Hellenic Republic Karolos Papoulias. When making his contribution to the Greek Fire Relief Fund, Alex Spanos stated, “We watched with heavy hearts the catastrophic fires and the destruction they left behind which affected thousands of people, their property and the beautiful countryside of Greece. I was greatly moved by the tragedy unfolding before my eyes and I know that every Greek American and every person was equally moved”. 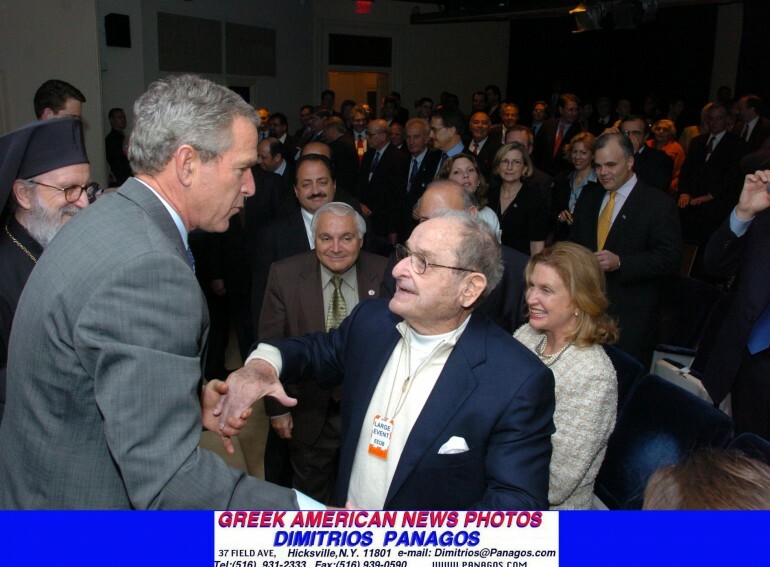 In 2004 Alex Spanos was the Co-Chairman of the Greek American Republicans and helped to raise over 3.5 million dollars for the re-election of George W. Bush, who appointed him member of the U.S. official delegation to the Athens Olympics, headed by former President George H.W. Bush. This was the year of Spanos’ biggest involvement with the Cyprus issue, on the eve of the referendum for the Anan Plan and the days that followed its rejection by the Greek Cypriots. Alex Spanos was working hard behind the scenes on the Cyprus cause. 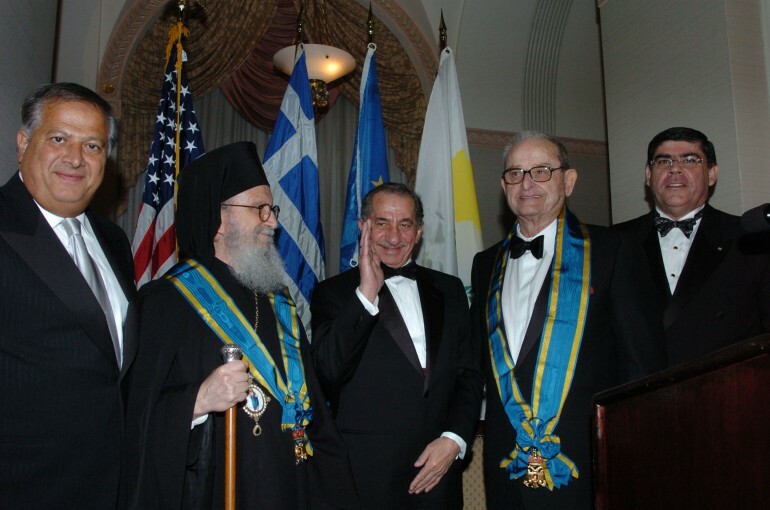 In June 2004, the President Cyprus Tassos Papadopoulos awarded Alex Spanos the Cross of Archbishop Makarios the 3rd, the highest honor of the Republic of Cyprus.